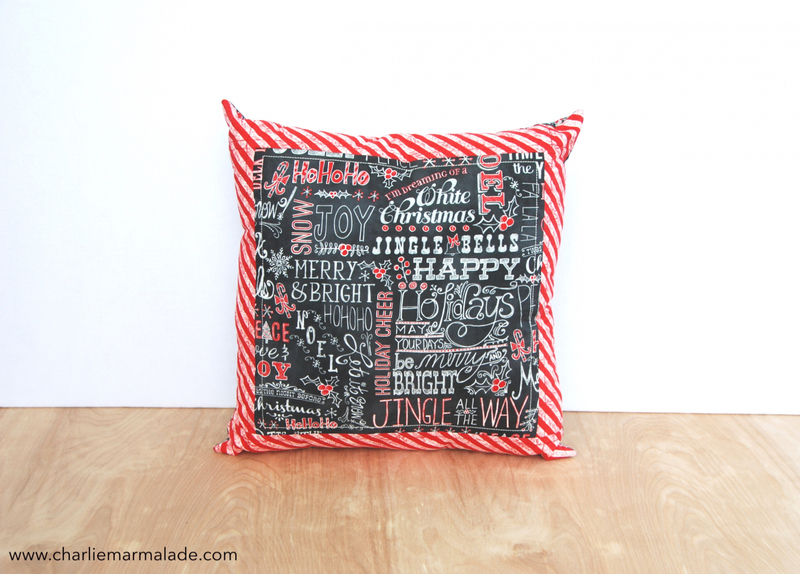 This quillow features a fun and bright chalkboard print with a candy cane striped border. 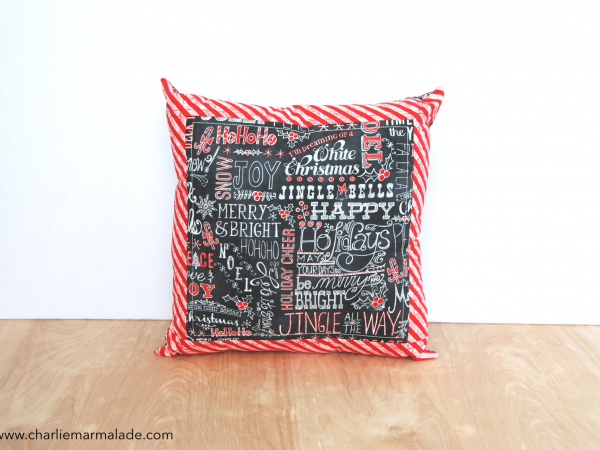 The backing features the prettiest chalkboard holly and has a zipper for easy stuffing. 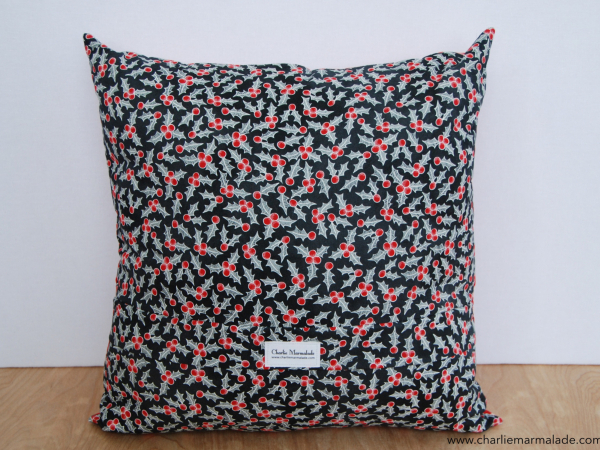 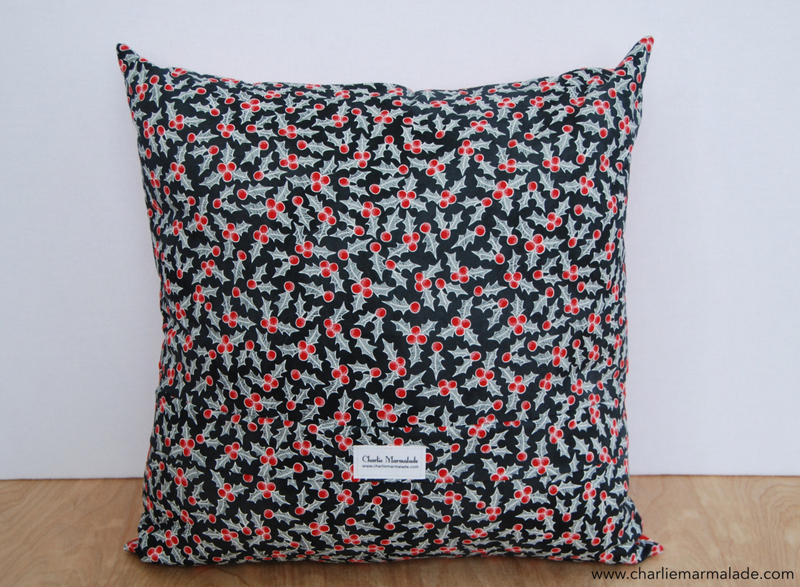 This pillow sham fits a standard 16" x 16" pillow form nicely.